Crash or Accident – Does it Make a Difference Which Word You Use? People around the country are using “crash” instead of “accident” more and more. 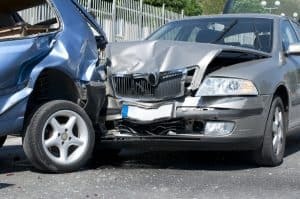 The Times article reported that the state of Nevada passed a law unanimously, which changes the word “accident” to “crash” in appropriate places in state law. New York City and San Francisco now refer to “traffic crashes,” and at least 28 departments of transportation have moved away from using the word “accident” when referring to roadway incidents. Even the Associated Press’s 2016 Stylebook weighs in on the issue. Jeff Larason, a former Boston traffic reporter who is now the director of highway safety in Massachusetts, and Candace Lightner, founder of Mothers Against Drunk Driving, have been on a mission to get rid of the word “accident” when referring to traffic collisions. An article in the Chronicle of Higher Education quotes Larson’s blog, Drop the A Word, “If a drunk or distracted driver plows into another vehicle, they argue, how accidental is that? The word wrongly implies that human decisions and actions have nothing to do with it. One group has publicly spoken out against the swap (though there could be more). The Virginia Department of Transportation felt that drivers were familiar with the word “accident” and that the change in wording could be confusing. The Virginia DoT may be the only one to speak publicly on the issue, but they are not the only group who hopes we keep using the word “accident.” Insurance companies would prefer that we use the word “accident,” too. When you are in a collision and are injured, it is the insurance company who pays – not the at-fault driver. Using a word like “accident” indicates that this was an act of God or an unavoidable incident, not the actions (or inaction) of a driver, which could translate into less money paid out by the company. Not using seat belts. Two hundred and fifty people who died in traffic crashes were not wearing seat belts. Speeding. Speeding and driving too fast for conditions was the most common driver violation. Hitting another car from behind. Rear-end crashes were the most common type of collision. Impaired driving. Drunk or drugged driving accounted for about 44 of all crashes and about one third of fatal collisions with 406 deaths and 4.089 injuries in Arizona in 2016. At Plattner Verderame, P.C., our clients often have questions about how they might take legal action when they have been injured because of someone else’s negligence. We work hard to help our clients feel informed and comfortable. To schedule a no-cost, no-obligation consultation, please contact our experienced Phoenix car accident lawyers by calling 602-783-8793 or filling out our contact form. Someone Crashed a Car into My House. What Do I Do Now?